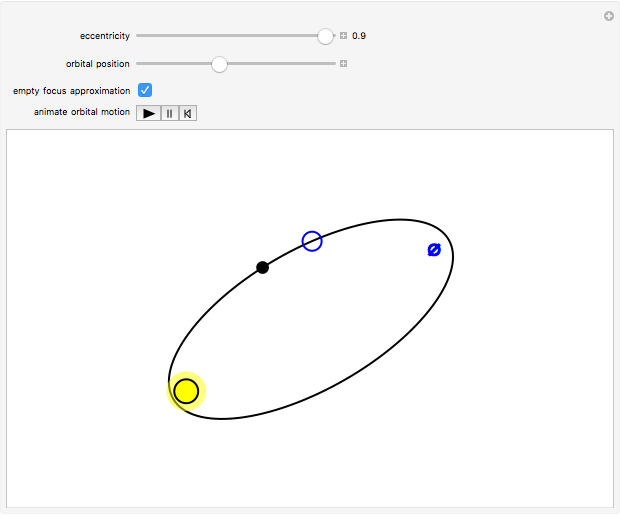 Ptolemy's model for planetary orbits (ca. 150 AD) entails the idea of an "equant" point, a location from which an imaginary observer would see the planet, along with its epicycles, move with an uniform angular velocity. The Ptolemaic worldview was superseded by Kepler's laws of planetary motion (ca. 1605). 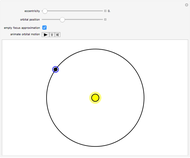 By Kepler's first law, planets move in elliptical orbits around the Sun at one focus. Kepler's second law implies that the planet sweeps out equal areas during equal intervals of time. This is a consequence of the conservation of angular momentum. 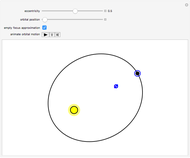 The angular velocity about the attracting focus is thus variable, except for a perfectly circular orbit. The planet speeds up around its perihelion (nearest distance) and slows down around its aphelion (farthest distance). 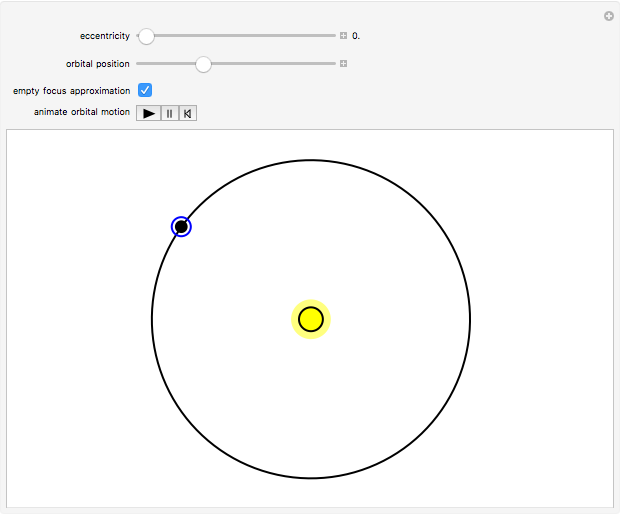 There is no mention of the "empty" focus of the ellipse in Kepler's laws. However, the realization that angular motion about the empty focus approximates the equant property was well known to astronomers in the and centuries. 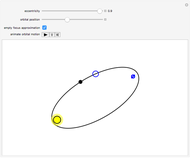 Determination of an elliptical planetary orbit involves repeated numerical solution of a transcendental equation, carried out in the cited Demonstration on Kepler's second law. 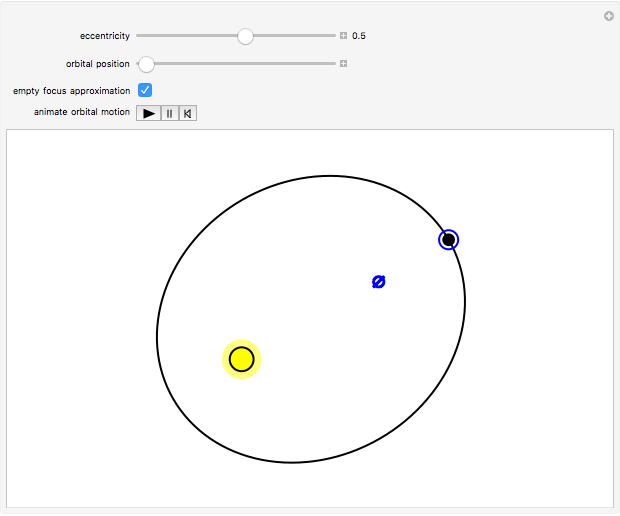 In the present Demonstration, you can compare the accurate result to the approximate empty-focus construction, in which the planet's predicted location is shown as a blue circle. The approximation becomes more accurate for smaller values of the eccentricity and, of course, exact for a circle. S. M. Blinder "Empty Focus Approximation to Kepler's Second Law"